Almost five years ago I completed my Camino de Santiago route Camino Frances. A walk of approx. 784 kilometer across the Pyrenees to Santiago de Compostela. During a meeting of the Dutch Camino support group one man in person motivate me to write the book about my camino for which I’m still grateful. Jeroen Gooskens, RIP. 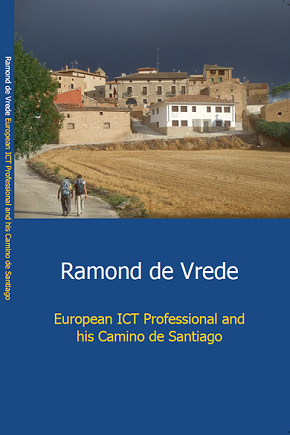 When I published my book many persons bought it and thanked me via Twitter and Facebook. I even got recognized several times. I would like to give back to the persons who are considering walking. Readers who prefer real books can order it via Mooi Limburgs.